Tetris really is the eternal video game. 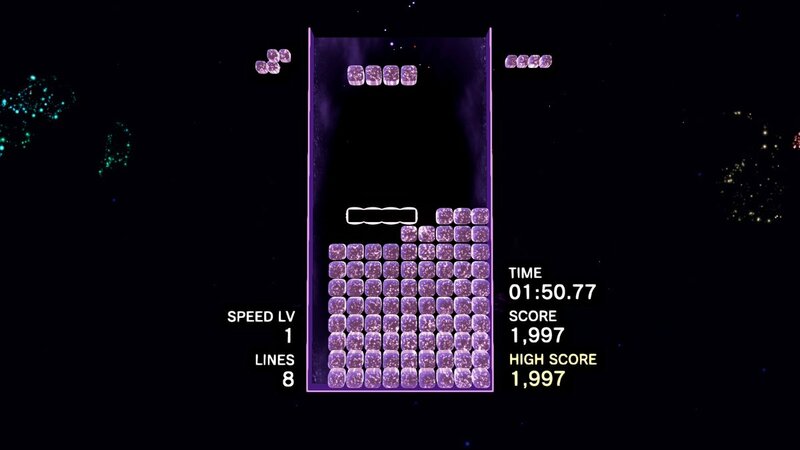 No matter how gaming evolves and advances, no matter how quickly it makes progress, Tetris remains one of the medium’s few constants. While many critically-acclaimed titles prove to lose their luster in the long term, Tetris will always be one of gaming’s quintessential titles. Tetris 99 – the completely free Nintendo Switch exclusive – is just another example of Tetris’s uncanny ability to adapt to any gaming landscape. 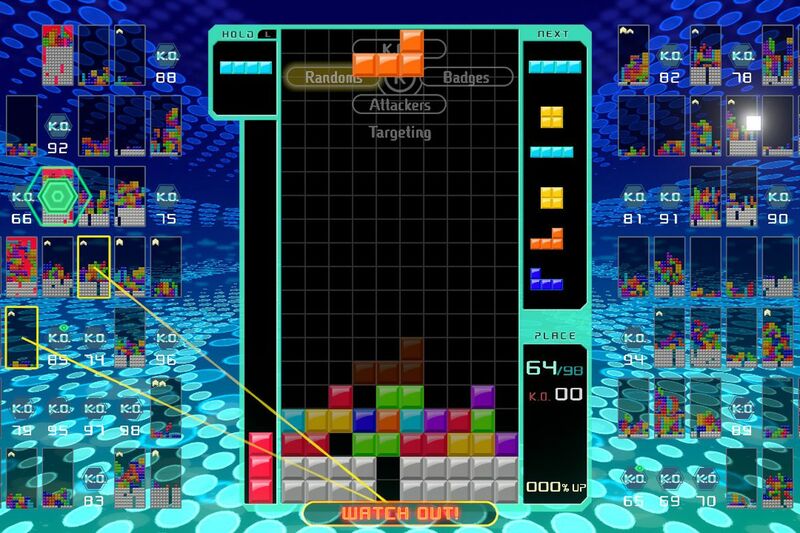 As the battle royal genre has quickly come to prominence thanks to PlayerUnkown’s BattleGround and Fortnite Battle Royal, Tetris 99 throws the classic puzzler’s hat into this ring. 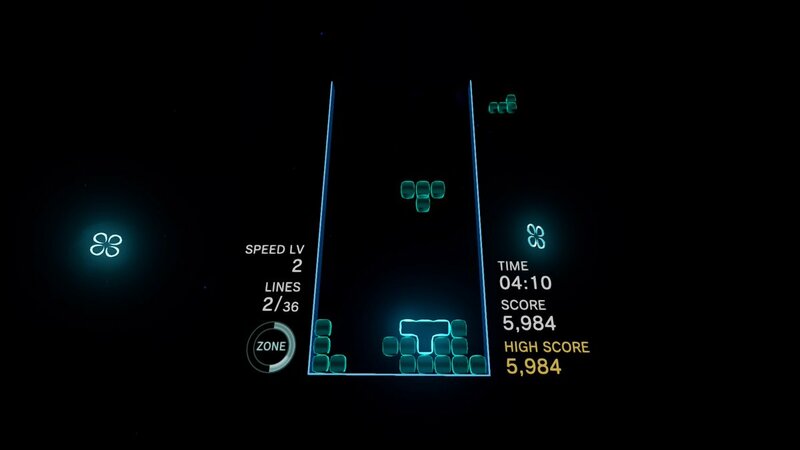 Somewhat poetically, the simplicity of Tetris translates so easily into the battle royal genre that it’s currently the best product of the genre on the market. 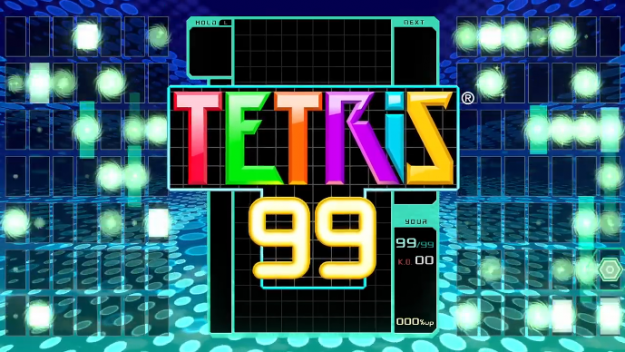 To put it simply, Tetris 99 is exactly what it says it is: Tetris with ninety-nine players. Simply start up a game, and soon enough you’ll be paired with ninety-eight other players from across the globe, experiencing the classic Tetris gameplay as you aim to be the last player standing. 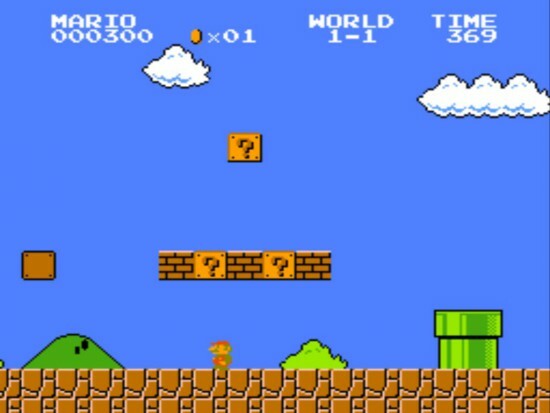 The core gameplay remains as it always has: the flawless combination of different shaped ‘Tetrominos” fall from the top of the screen, with the player needing to fit them into rows, thus eliminating them, earning points, and preventing them from reaching the top of the screen. 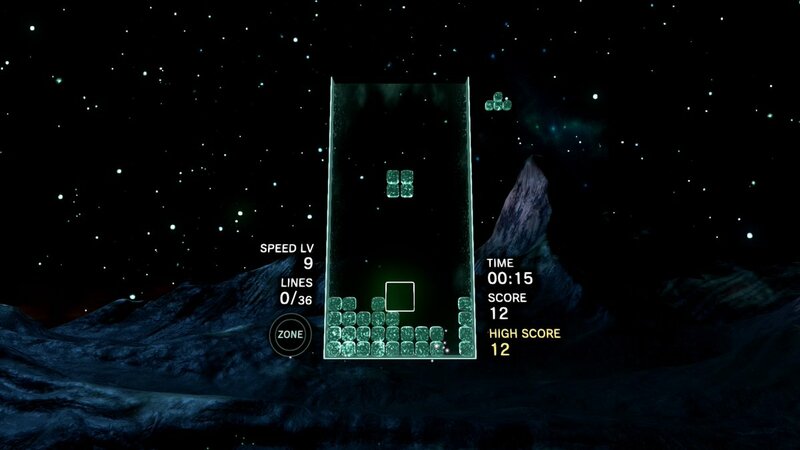 Like in most competitive Tetris titles, clearing rows will also send “garbage blocks” to your opposition. Garbage blocks rise from the bottom of the screen, and bring the player closer to defeat. Of course, with ninety-nine players, things can get chaotic really quickly. 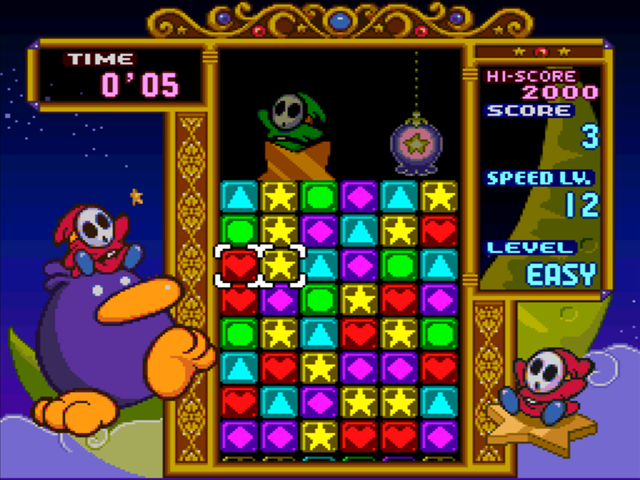 Players control the Tetrominos on their board with the D-pad, while they target other players using the joysticks to aim at any of the other players on screen. The chaos begins once players start getting eliminated, and their are fewer and fewer targets on the board. As you may have guessed, this means that multiple players will soon start to target the same opponent. And if you happen to be that opponent, you can kiss your hopes of victory goodbye. Admittedly – perhaps due to the battle royal genre still being in its infancy – the translation of Tetris to the genre isn’t quite perfect. Given that there are ninety-eight miniature boards representing the other players on the screen, it’s hard to make out the details of what they’re doing, which means you’re mostly targeting other players at our random or, at its worst, forgetting to change targets at all and just let the cursor move on its own as players are eliminated. Of course, compared to the bugs, glitches, and technical issues that still plague PUBG and Fortnite, the sometimes rough translation of Tetris 99 isn’t so bad. The sometimes confusing interface prevents Tetris 99 from reaching its full potential, but it’s still the most easily accessible and fun battle royal title yet. It takes one of gaming’s greatest classics and uses it to help polish up a contemporary genre. And as a free download, there’s absolutely no reason why every Switch owner shouldn’t have it in their library. Plus, come on, it’s Tetris. 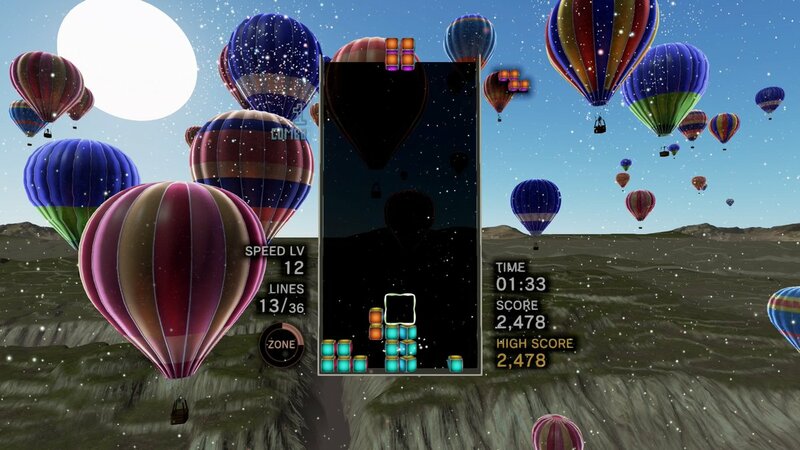 The falling block puzzle game is one of gaming’s most reliable genres. 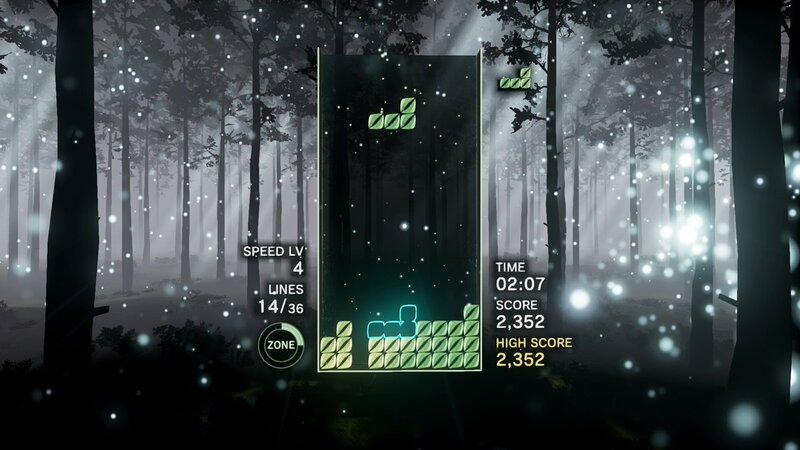 Though they tend to be simple on the surface, the gameplay of the genre that Tetris built tends to be deeper and more complex than it at first appears, making for immense replay value and pure, unadulterated gaming fun. 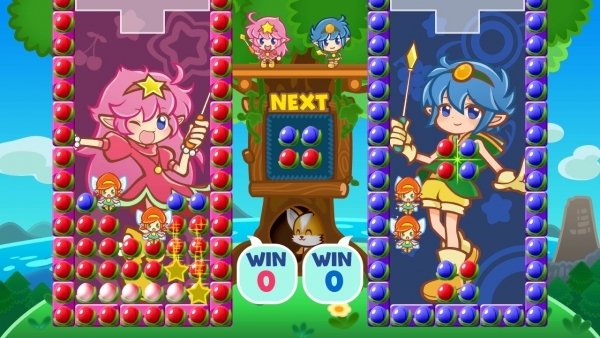 One of the more popular falling block puzzlers of the early 90s was the arcade title Soldam, which has found its way onto the Nintendo Switch with updated graphics while still maintaining its classic charm. Though Soldam (now boasting the subtitle of “Drop, Connect, Erase”) may not be one of the best block puzzlers out there, its simple twist on the genre is another reminder why these types of games will always be fun. The basic premise of Soldam is the same as any other title in the genre: blocks fall from the top of the screen, and threaten to fill up every last space. 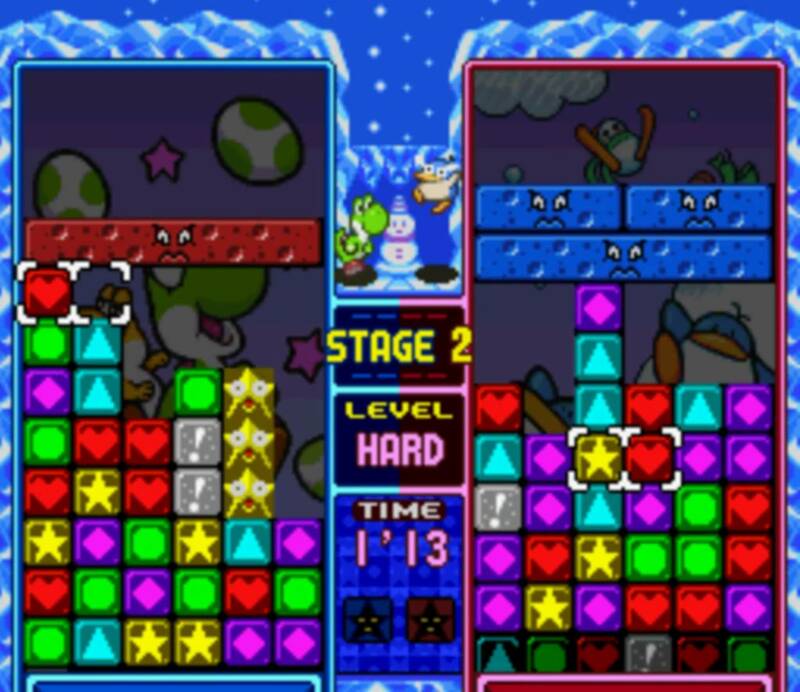 You need to match up the blocks by their respective colors to eliminate them. The more you manage to eliminate, the higher your score. But should the blocks make it to the top of the screen, it’s game over. Soldam comes with a twist, however. Instead of falling blocks, it’s fruit that falls down from the heavens (called “Soldam fruit,” in case you were wondering where the strange title comes from). The fruit always comes in groups of four, thus still technically making a block. You can rotate each quartet of fruit in order to match the colored fruits up with other fruits of their corresponding color, with an entire row needing to be made the same color in order to eliminate it. There’s another major twist in the usual puzzle gameplay in the form of “flanking,” which ends up being Soldam’s biggest draw. You see, even if you run into a tight spot and need to place mismatched colors in an otherwise consistent row, you can still rectify it by placing the proper color on top of (or to the side of, or diagonally from) the misplaced color, which will then “flank” the misplaced color, and change it to the desired color. For example, if you have a row that consists of mostly red fruit, but contains one or two yellow fruit, just place more red fruit over the yellow fruit in such a way that makes the yellow fruit a “bridge” between red fruit. Once the yellow fruit becomes sandwiched by the red fruit, it will become red, thus completing the row. Of course, you’ll have to be extra careful as the game goes on, because if you make too many mistakes, it will be all the more difficult to try and flank them. And as a match goes on, additional colors will be added (you start with only two). And you can only flank through one color. If a blue fruit gets in the way of the yellow, the red fruit can’t flank through it. It’s a really simple concept, but it proves to be a lot of fun the more you play it. It may not turn the genre on its head like Tetris Attack or Tetris Battle Gaiden, but Soldam is nonetheless addicting and mentally stimulating, as any self-respecting puzzle game should be. On the downside of things, Soldam doesn’t boast a whole lot of variety. Along with the traditional mode of trying to get a high score, there’s also an “endless mode,” two-player versus matches, and challenge mode, which puts you into a series of quick objectives (eliminate so many rows within a set number of turns, destroy several rows at the same time, etc.). There’s definitely fun to be had here, but none of the additional modes add a whole lot to the experience. Soldam may not rank as one of the best falling block titles I’ve played, but its simple mechanic of flanking proves to be a very engaging concept, and the game is complimented by cute visuals and characters, as well as a catchy soundtrack. Soldam may not be the perfect puzzler, but it makes for a fine addition to any collection for fans of the genre. 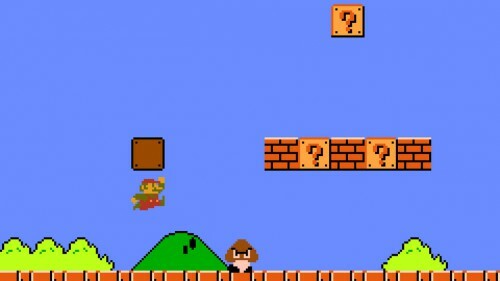 Sometimes, the simplest video games are the best ones. 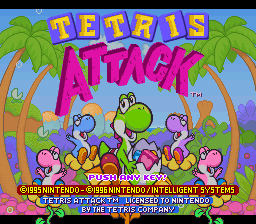 Look no further for a testament to this than Tetris, the original falling-block puzzler which remains one of the most timeless classics in the medium. 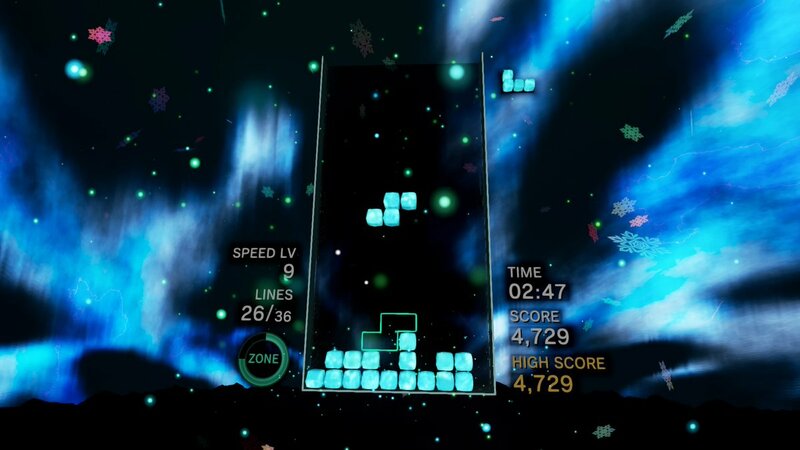 Tetris is essentially perfect as is, but its iconic status (as well as its simple formula) also means that other games have tried to put their own spin on its gameplay. One of the better of these Tetris spinoffs is also one of the most obscure, and comes in the form of Tetris Battle Gaiden, a puzzle game released exclusively on the Japanese Super Nintendo, the Super Famicom. 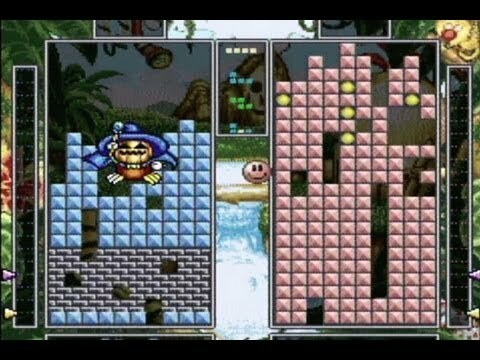 This Japan exclusive, released in 1993, features the same addicting gameplay as the perennial classic, with the same exact block shapes that the players must construct in such a way as to complete a row, which eliminates those blocks and prevents them from stacking too high. If the blocks reach the top of the screen, you lose. 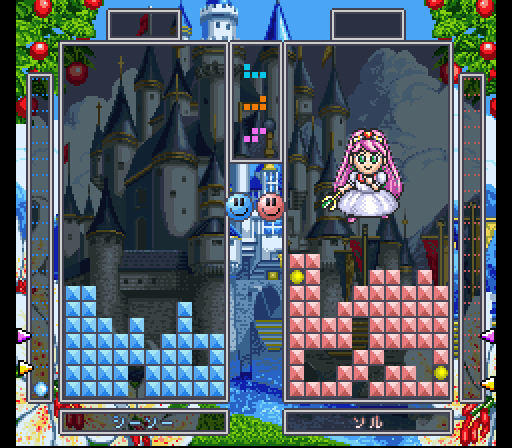 Tetris Battle Gaiden changes thing up with one simple yet profound addition to the formula: magic spells. 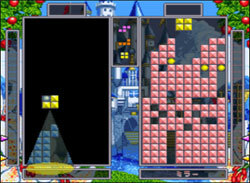 In Tetris Battle Gaiden, players can select a small variety of cute, colorful characters (like a ninja, a wolfman, a princess, and a strange rabbit-like creature, to name a few), each one boasting four different magic spells. Spells are used by collecting orb-like crystals during the gameplay. These crystals are found on some of the falling blocks, and if you manage to eliminate a row of blocks that houses a crystal, you gain that crystal. Casting spells is performed (somewhat strangely) by pressing up on the D-pad. If you have only one crystal, your character will use their level 1 spell. Two crystals for level 2, three for level 3, and four for level 4. These spells all work to either aide you or hinder your opponent. The Wolfman, for example, can make his opponent’s blocks fall in slow-motion for a short time, while the Princess can duplicate the current block setup of her opponent. The spells are a whole lot of fun, and come complete with fun little animations for each individual spell for each character. But these spells also work as something of a double-edged sword, which prevents them from being too overpowered. For example, if the Wolfman slows down an opponent whose stacks of blocks aren’t as high as his own, it means the Wolfman has to work twice as fast as the other player if he hopes to eliminate his own blocks. And should the Princess’ opponent have a higher stack of blocks, it’s obviously not a great idea to duplicate it. This may sound like a small addition to the classic Tetris formula, but it really does add a new level of competitiveness and strategy to the equation. Not to mention it’s one of the very few instances in which selecting a different character in a puzzle game actually makes a difference to gameplay. 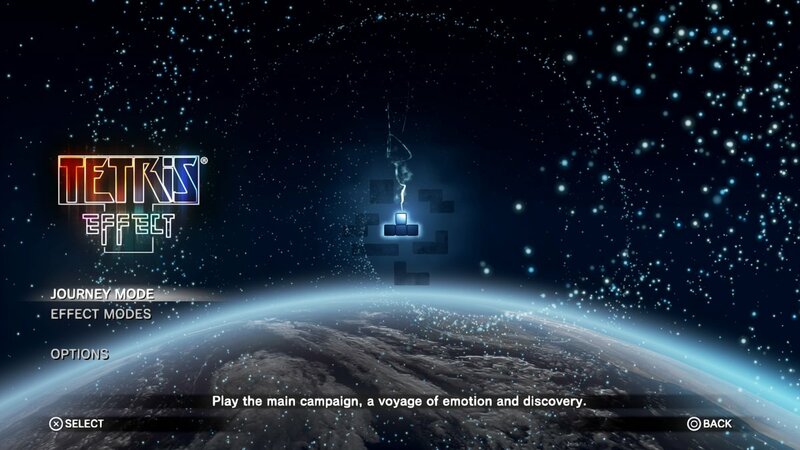 There are some minor annoyances with the game, like the inability to select the background stage or music (it simply goes with the stage and music of the character selected by player 2). Nothing major, but the ability to actually select the background visuals and music would have been nice, especially the music, since the soundtrack is insanely catchy and fun. Tetris Battle Gaiden may not reinvent the formula, but it puts a fresh twist on an all-time classic and gives it a whole new dimension. It’s an incredibly addictive puzzle game that makes for some terrific multiplayer fun. If you can somehow get a hold of a Super Famicom, Tetris Battle Gaiden is a must-have.